If you want a humongous phone, Asus has you covered. The company over the weekend launched their new ZenFone 3 series of phones with the top-end Ultra coming to market with a massive 6.8″ display. All three phones are aimed at meeting consumers where they want on both a performance level and a display size and while no release date was given on the new lineup, you should expect to seem them at some point over the course of this summer. 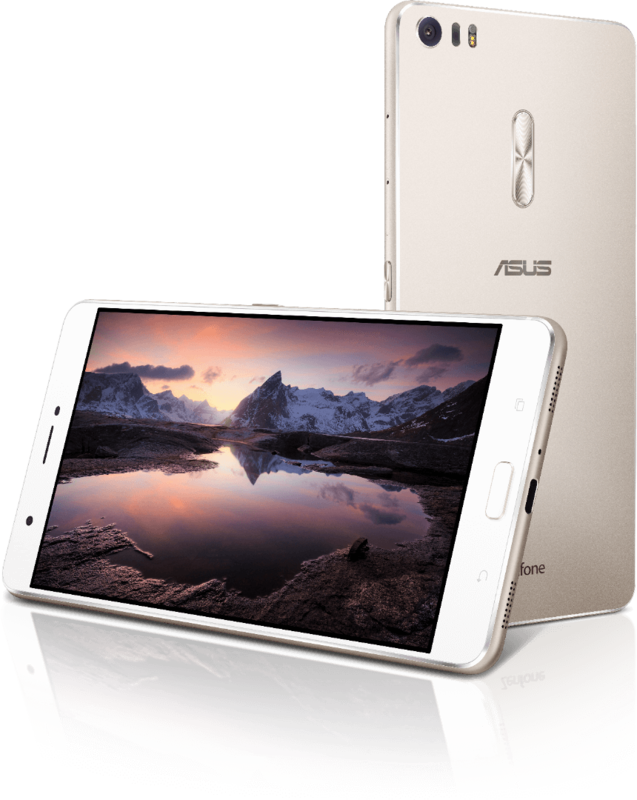 The entry level ZenFone 3 is powered by Snapdragon 625 processor, has 4GB of RAM, 32GB of Storage and 16MP rear camera. It also sports a fingerprint scanner and a 5.5″ display that renders at 1920 x 1080.
of storage and you can add a MicroSD slot for more storage. Asus also indicated that they will have a 256GB model out at some point this year! Camera wise, you have a 23MP rear shooter with OIS and the Deluxe is a true unibody design. There are no lines or gaps on the edge of the device for antennas. That brings us to the ZenFone 3 Ultra. It is huge at 6.8″ of display and it still sports the same 1080p display. For a screen this size, that is a bit of a shame but by the same token, it keeps the price of the device down. Powering the Ultra is the Snapdragon 652 processor with 4GB of RAM and it also has a 23MP camera. Storage sizes where not discussed in the Asus Press Release so it is unclear what storage size options will be available. Given that both of the other ZenFone 3 models start at 32GB or 64GB, the Ultra is likely to be in that range too. Finally, the Ultra has a huge 4600 mAh battery and supports Quick Charge 3.0 technology. Pricing wise, the new line up will certainly be competitive. The entry level ZenFone 3 will start at $249 with the Ultra coming in at $479. The Deluxe model will be priced at $499. There is no word on when these will hit the market or which markets will see them first. Asus generally gets their devices to the US markets unlocked. There is no reason, at least for now, to think this lineup will be any different.